Opening times Opening hours may vary; see individual events for details. When it was announced in early 2001 that Glasgow Council would be shutting down Govanhill Baths after nearly 95 years of use, the community rallied together to demand the pool be kept open, occupying the building for five months. 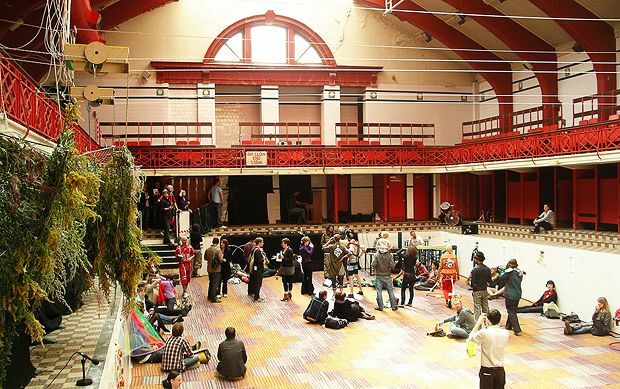 Although the protesters were eventually removed, Govanhill Baths has come back with a vengeance in recent years, transformed into an arts space that hosts music gigs, fashion shows, theatre productions and visual art exhibitions, including for Glasgow International, Southside Fringe and local community initiatives.